Have a Picky Eater? Implement the Rotation Rule. In our picky eating series, we are going to be offering a number of strategies you can use at home to get your child to try new foods and hopefully like them. The rotation rule is where you never serve the same food two days in a row. Even though this sounds so easy, it can be hard to implement! Eek! If your child eats pancakes every morning, then you need to rotate a few varieties of breakfast foods. If your child had chicken nuggets today then he shouldn’t have chicken nuggets tomorrow. This way you don’t allow your child to get into an eating comfort zone or teach them to expect a certain food only making your picky eater that much pickier. 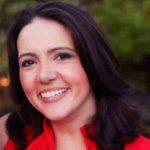 Why is the Rotation Rule Important for Picky Eaters? Most young children become picky eaters because “they’ve been exposed to only a few foods and have developed food preferences based on a cycle of limited exposure”, says Fraker and Cox, authors of the book Food Chaining. Think of it this way: each time you give your child a food he or she eats often, it is taking away an opportunity for you to introduce them to a different kind of food. The more your child is exposed to a food, the more accepting he or she will become of the food. 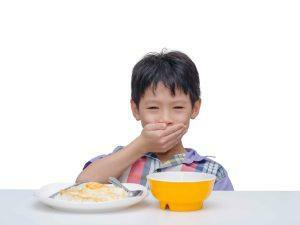 If you keep serving the same foods, it is no wonder your child will gravitate towards these comfort foods. It becomes a self-fulfilling prophecy. You don’t want your child to grow to expect a muffin for breakfast even if it is a healthy muffin. What happens when you make a frittata? Your child will probably reject the food because they have come to expect to eat the muffin. The Rotation Rule gives you the opportunity to introduce new foods to your child with less struggle. When serving a new food to your child, pair it with a familiar food; but follow the rotation rule and do not serve the same food you served the day before. Some kids can feel pressured when presented with a new unfamiliar food. By serving it with a safe food, you are taking the pressure off eating the new food. If your child sees this new food enough times, it will no longer be a new and scary food. 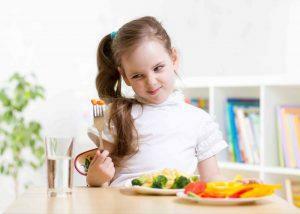 Before a child can eat the food, the child needs to be able to tolerate the food on the table and then on their plate. The child also needs to be ok with the smell of the food and the touch of it. Studies show that when kids feel pressured to eat a food, they will actually eat less. By pairing a new food with a safe food, you are taking the pressure off having to try the new food. It can take countless exposures before a child tries the food. I mean countless! By using the rotation rule to reduce the amount of times you are offering a comfort food, you are increasing your child’s exposure to a much larger variety of foods. 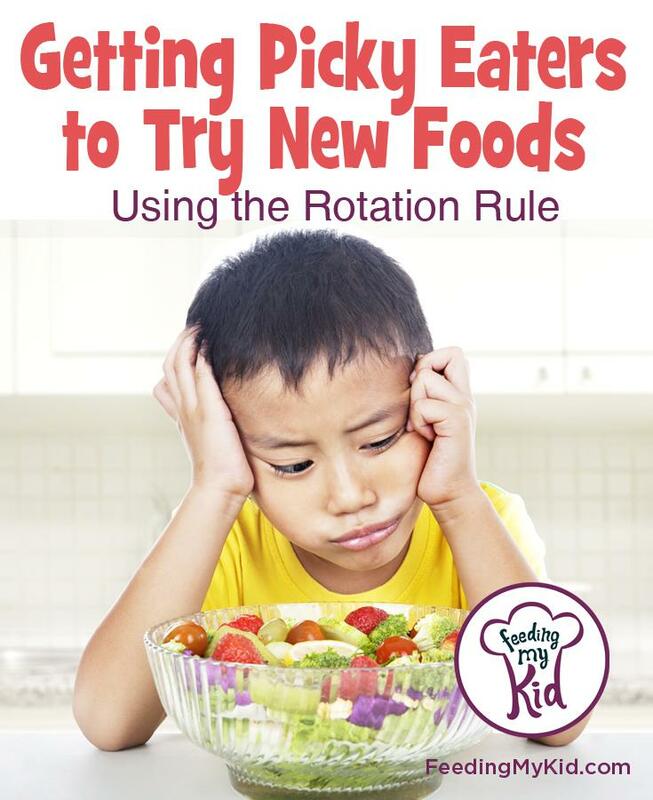 The rotation rule alone is unlikely to solve your child’s picky eating ways, but it will help! You’ll need to do a multi-prong approach to getting your child to become an adventurous foodie. Check out our article and video about Gateway Foods (Food Chaining) to learn how to add more variety to your child’s diet.